When you're looking to buy furniture in North Cyprus, it's tempting just to explore Kyrenia furniture shops. Don't! Visit our Lefkosa furniture showroom, where you can see a much wider range on display than at other furniture shops in Kyrenia. Our air-conditioned furniture showroom is just five minutes from the Lefkosa-Kyrenia roundabout (Gonyeli roundabout), so you can be lying on our beds or sitting on our sofas within 20 minutes drive of smaller, less well-stocked Kyrenia furniture stores. We just love customers trying out our furniture, so they can experience the quality, comfort and wide range of fabrics and finishes for themselves. So, please come dressed in comfortable clothes and with shoes you can slip off. If you're looking for a store that has a good stock of furniture, Kyrenia shops simply won't be able to hold the high level of stock we do in our Lefkosa warehouse. • a range of spring and memory foam mattresses you can lie on with your partner, for as long as you like! We are open from 9am to 7pm weekdays, and on Saturdays from 9am to 3pm. 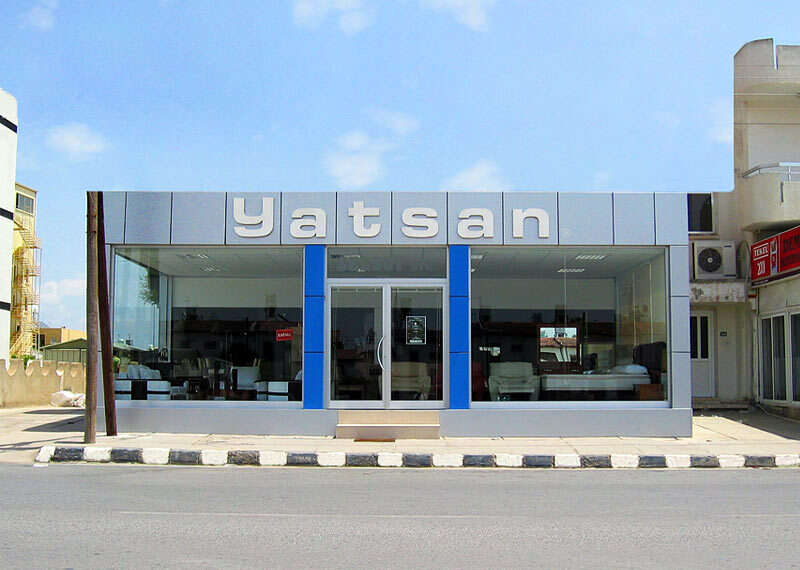 Click on the map on the right sidebar for driving directions to our YATSAN furniture shop in Lefkosa.